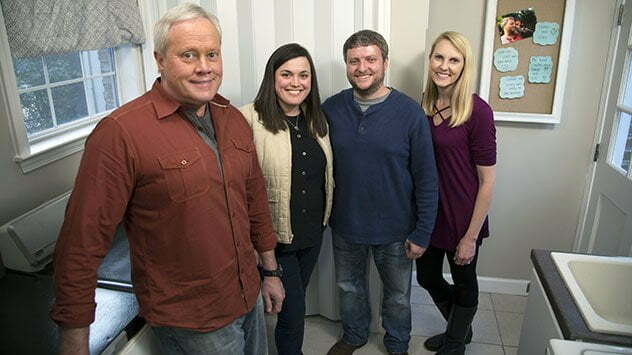 “Today’s Homeowner” hosts Danny Lipford and Chelsea Lipford Wolf visit with Chris and Laney after making some major improvements in their laundry room. The Today’s Homeowner crew helped Chris and Laney with a laundry room redo. Check out the Family Storage episode article for more information and links to the products we used on this project! Glad you enjoyed the accordion door, Barbara! We have a link to the product in the episode article. ok, now you did it I have looking for a way to fix our laundry room…I need that according door and would like to know where to buy it…That very setup was GREAT…. My husband always watch you but now I think he is sorry….I want that storage just like the one you did.